President Mary McAleese has begun her official visit to Russia by telling business leaders there that Ireland is open for business. Addressing an event organised by Enterprise Ireland, the President said that international companies are increasingly turning to Ireland for quality competitiveness and innovation. In Moscow tonight, President McAleese said one of the most important ties between the two countries is their thriving business relationship. She said Ireland is a place where business can be done easily and to the highest professional standards. The address marked the first official engagement ever by an Irish President in the Russian Federation. Earlier the President met with the Mayor of Moscow, Yury Luzhkov. The meeting, held in the city hall, lasted for 40 minutes. President McAleese thanked the Mayor for his support of recent St Patrick’s Day parades which have been held in the city. The two also discussed how to strengthen ties between the countries universities. One of the projects Trinity College Dublin is promoting in Russia this week is the establishment of a Russian Cultural Centre in Ireland. 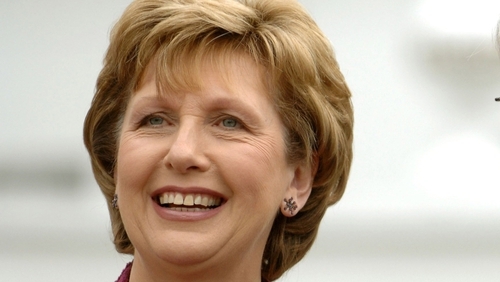 President McAleese's four-day official visit ends on Saturday.